One of my favourite activities as a Toronto Master Gardener is volunteering at the Growing Under Glass program at Allan Gardens, helping Grade 3 kids from across the city learn about plants and how they grow. 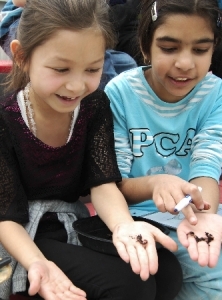 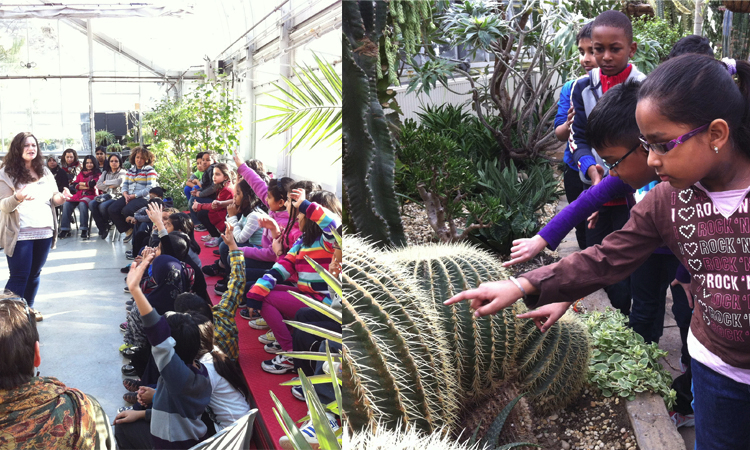 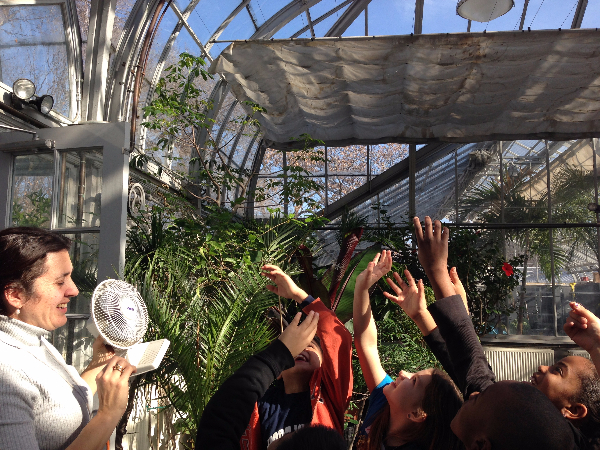 Run by the TBG, funded in partnership with the City of Toronto, Growing Under Glass is a free, curriculum-based field trip program offered to Grade 3 classes from high priority neighbourhoods in Toronto at the Allan Gardens Children’s Conservatory. 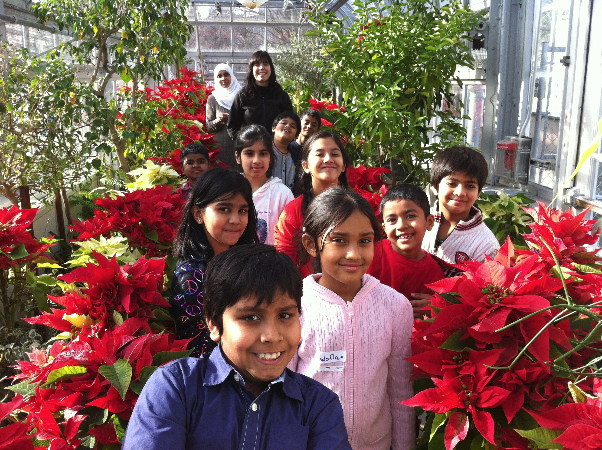 Running from November through February, the program hosts about 55 classes or 1,100 children a year which works out to some 13,200 boys and girls over the past 12 years. 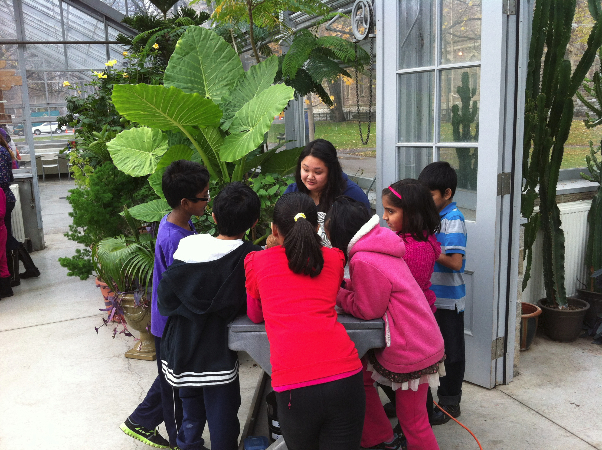 Growing Under Glass also hosts teacher candidates from York University’s teacher training program and I am not surprised to learn that feedback from Grade 3 teachers, who have accompanied their classes, is extremely positive. Activities include learning the components of soil (rock, compost, water, decomposers and time), doing a sieve experiment separating the inorganic parts of the soil, a tour of the greenhouses and a planting activity. 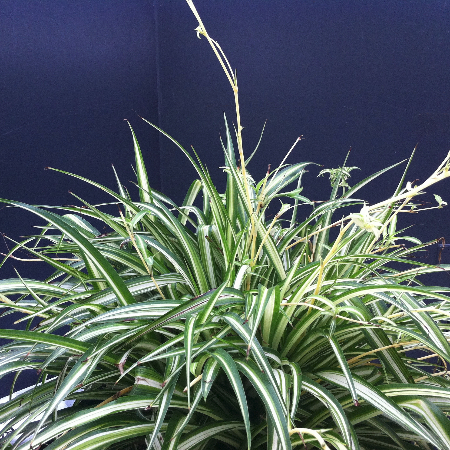 Every child takes home a plant which he or she has potted up…either a monkey tail or a spider plant. 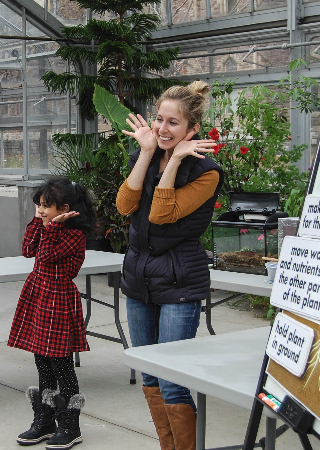 As volunteers, the master gardeners help with the experiments, assist the TBG’s Diana Wilson, Children’s Education Supervisor, Community Programs, and her interns set up and clean up and do our best to help enrich the program for the 8- and 9-year-old students.